This entry was posted in Sales Tips and tagged appointments, breakfast, busy, clients, difficulty, dinner, distractions, early, excuses, lunch, meetings, order, sales, schedule, start on January 29, 2015 by TravellingSaleswoman. Are you travelling for business or for pleasure? 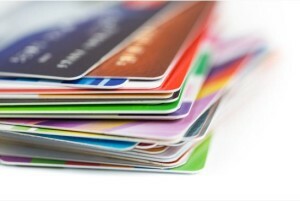 Do you use a company credit card? Or do you use your own personal card and submit expenses? Regardless of how you travel, there are several ways to take advantage of the many travel rewards available to you. That being said, there are so many travel rewards programs available on the market that it can be overwhelming and outright confusing to select the programs that work best for you. If you follow my simple guidelines below, I assure you that you will get the most benefits from your rewards programs. Every airline has its own reward program however they are not all created equal. The trick here is to stick to a reward program that is associated with an airline AND shops that you frequent (i.e. gas stations, hardware stores, grocery stores etc.). This way, everywhere you go, you are gaining valuable points. For example, I chose a rewards program which is associated with the airline which I most frequently travel with as well as many other retail partners so that wherever I am shopping, I am gaining travel rewards and getting closer to redeeming my rewards. If you select a reward program that is associated solely with an airline or general travel rewards, it will take you much longer and/or require that you spend much more money to obtain your rewards. For example, if you only use a rewards program associated with your airline, you are limited to gaining and using rewards through the purchase of airline tickets and using their rewards based credit card. If you only use a reward program that is associated with retail shops, it will take you YEARS or a spending a significant amount of money to gain any true travel reward. So unless you spend $100,000 on your credit card every year, these options will not work for you. Now that you have decided which travel rewards program you will stick to, it is time to select the credit cards which will allow you obtain the most benefits. This is the most efficient way to double-up or even triple-up on your points. It is my opinion that everyone should have at least 2 credit cards. Whether it one for business and one for personal use or one for personal use and one for family expenses, it is always a good idea to have a credit card as a backup in case the other is not accepted or is compromised . When you select your credit cards, make sure that both of them are associated with the same travel rewards program. This way, whenever you spend any money, you will gain valuable rewards points. Furthermore, get out of the habit of paying in cash or with debit. 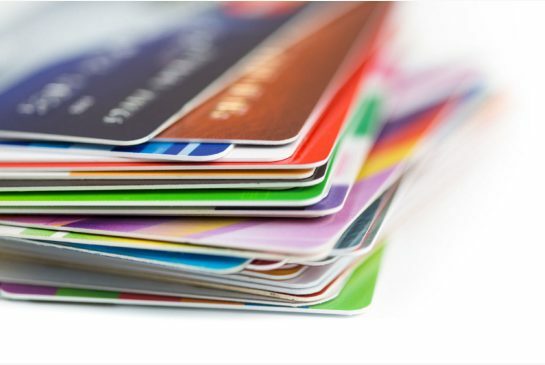 Use these credit cards for every purchase and then pay off your balance in full each month. This strategy will not only help you gain maximum travel rewards points but it will also boost your credit score. When you enlist in a travel rewards program and receive your rewards based credit card, you will likely receive a list of all of the recognized partners which will provide rewards points on your purchases. Make a legitimate effort to shop at these places on a regular basis using both your credit card and showing your actual rewards card to double up on points. For example, the rewards program I use offers rewards at selected gas stations. These gas stations will prompt you to enter your rewards membership card, then your credit card. If you use both cards, you will get double the travel points on a single purchase and it doesn’t cost you a dime. Whether you travel for business or pleasure, whenever you stay at a hotel, spend the minute or two to sign up for the hotel rewards program. They are free to join and the points don’t typically expire if you gain them at least once a year (i.e. if you stay at that particular hotel chain once per year). Even if your company makes your travel arrangements or you have to use a company credit card, you can personally register for these programs and gain valuable points towards your own personal hotel stays. If you are responsible for making your own travel arrangements, try to select hotels that belong to the same chain or rewards program in order to maximize your points earnings. Similar to hotel membership rewards programs, car rental agency programs can offer you great rewards if you register personally. Again, even if your company makes these arrangements for you, sign up on your own time and simply present your membership number when you pick up your vehicle. 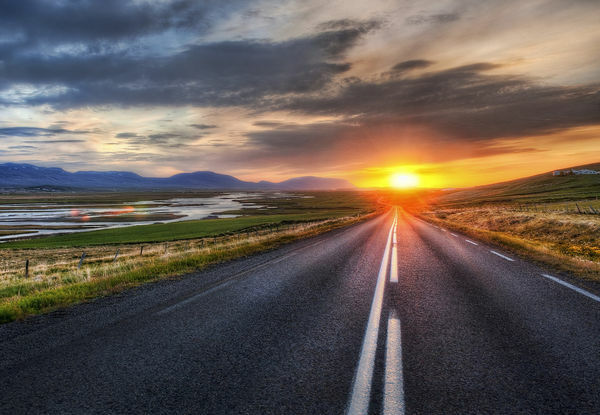 Many car rental agencies will give you the option to gain points towards a future rental or to gain points with your favorite travel rewards program. If you follow these simple steps and keep organized, you will be able to take advantage of your travel rewards in no time. Last year alone I took advantage of 6 flight rewards and 5 days worth of free car rentals. What will you do with your rewards? Think of the possibilities fellow travelers! This entry was posted in Tools of the Trade and tagged aeroplan, airline, airmiles, amex, car, credit, flyer, frequent, hotel, partners, points, program, rental, retail, rewards, travel, visa on January 23, 2015 by TravellingSaleswoman. Entering a new year, most of us sales professionals will start preparing to hit the pavement once again. As you all know, all of that travel certainly doesn’t always go without incident. In my first blog post of 2015, I will share with you, one of my funniest “Road Woes” which happened to me while I was working in Quebec last year. Managing a territory as large as Canada is no simple task. Calling on mobile medical professionals adds a whole other level of difficulty and requires superior time management skills. On an average day, I will travel anywhere between 400-500 km and meet with 4 or 5 practitioners. I’m sure you’re thinking, “That doesn’t sound very efficient!” however, most of my clients (90%) are located in remote areas, travel in a 1-2 hour radius from their office base and frequently get called out to emergencies. Needless to say, I spend a lot of time on the road and well, anything can happen! I usually spend the better part of September calling on my clients in Quebec (AKA “La belle province”). For those of you who are not familiar with Canadian geography, Quebec is the only French speaking province in Canada. It is essentially its own country with its own culture that is completely different from the rest of Canada. Whenever I travel there, I always seem to experience the most hardships and not simply because I am an Anglophone. This past year, I was about half way through my trip. So far so good I thought. No speeding tickets, no accident and no flat tires. I was travelling along Aut-55 to Sherbrooke grooving along to some tunes approximately 1 hour from my destination when I discovered a large bee inside my vehicle. To be precise, it wasn’t a bee but rather a yellow jacket which is a type of wasp. It was approximately 1” long which is quite huge! Everyone always says that if you don’t provoke them, that they won’t sting you. Well, everyone is wrong. So wrong! When I first noticed it sitting on my passenger seat, I thought (and hoped) that if I simply opened the window it will just fly out. But it didn’t. I suppose driving at 120km/hr isn’t exactly conducive to flying out of a window if you are a wasp. How did it even get in my car without me noticing? 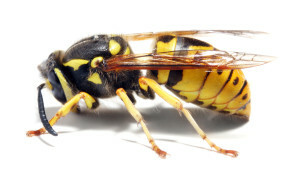 A few days prior when I was unloading my things from my trunk, I noticed a large wasp land inside my trunk. It didn’t leave and I couldn’t find it, so I closed my trunk and forgot about it. Well, somehow this thing was still alive and it made its way into the front seat of my car and boy, it wasn’t happy! I continued driving and tried to remain calm, telling myself “If you don’t piss it off, it won’t sting you.”. I was planning on keeping calm and taking the next exit to safely pull off the road, stop the car, open the windows and doors and let it out of my vehicle. Then suddenly, I felt an excruciating, sharp, stabbing pain in my back! The wasp was under my shirt and bit me. Even though I leaned forward towards the steering wheel, it continued to bite me and again, and again. After the fourth bite, I was delirious with pain and could barely concentrate on the road. I was still 2km from the next exit and I just couldn’t take it any longer, so I swerved my car to the side of the road and pulled over. The car was still moving when I threw it into park. At that point I really didn’t care if I ruined my transmission. I immediately jumped out of my car, ripped my shirt off and started running around screaming at the top of my lungs. So there I was, on the side of a major highway, running around my car wearing just a bra and screaming like a madwoman! I’m sure someone caught that on video and posted it on YouTube somewhere. I knew I was bit pretty bad and I needed some sort of treatment. Fortunately I had my fishing gear in my trunk and in it I had a tube of AfterBite. I couldn’t apply it to my back directly, so I squirted the stuff all over the window of the passenger side of my car and then proceeded to rub my back all over it. Classy move, I know! But it helped a bit. Thank goodness I wasn’t allergic! As I drove to my hotel, I was thinking, “What if I was allergic and had a medical crisis while I am here in Quebec? If I call 911, do they even speak English?”. When I arrived at my hotel, I asked the concierge that very question. She informed me that it is mandatory for all 911 operators in Quebec to speak English. This turned out to be very useful information as the next day, I was involved in a car accident with a man who did not speak English and I had to call the police. If I didn’t know they spoke English, I probably wouldn’t have made that phone call and the guy who hit me would have gotten away. All things happen for a reason I suppose. So the next time you’re driving on the highway and you see someone driving erratically, just think, maybe they are getting violently stung by wasps. This experience has given me a whole new perspective on “distracted driving”. You never know what’s really going on behind someone else’s wheel. This entry was posted in Road Woes and tagged bee, calls, country, distracted driving, distraction, driving, incident, road, safe, sales, sting, travel, woes on January 2, 2015 by TravellingSaleswoman.